The months of November, December, and January provide wonderful opportunities for families and friends to gather. 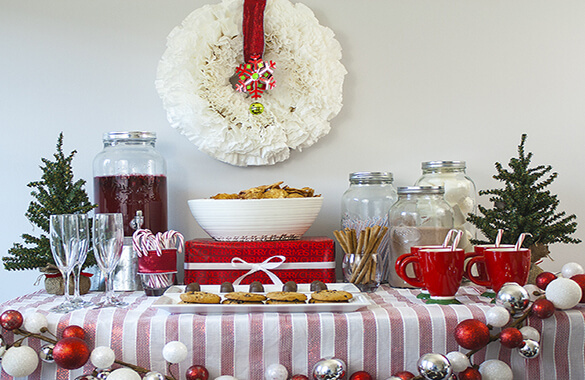 Celebrating the holidays by hosting a party allows you to choose the setting and to decorate to your heart’s content. A basement, whether finished or unfinished, is a wonderful location for holding a party. With a basement window well you can enhance your decorations and holiday spirit. If your home’s basement is dry and warm, well ventilated, and easy to access it can easily become the setting for whatever type of party you desire. If parts of your basement are not in everyday use, party designing and decorating can start right away. Talk with other members of your family to decide what type of party to have, then choose the areas of your basement that will work best. Look around the basement to spot features that you would like to hide (such as exposed heating ducts or beams). Also, look for furnishings that already are in the basement that can be put into service while entertaining. If your party is during the day, using the natural lighting from window wells can greatly accent your basement. Consider placing a table or display near your basement window well for that natural light. There are several ways to disguise or hide unfinished basement ceilings, utilities and stored items. Fabrics in colors and designs that fit your party theme can be fastened to beams or framing to make graceful ceiling or wall coverings. Silver tarps, colored plastic drop cloths, plastic tablecloths, or cloth bed sheets work well to cover tools and other stored items. Paper flowers shaped like poinsettias or other holiday flowers are easy to make and look wonderful wherever you might place them. Garlands made from construction paper or other types of decorative paper, crepe paper streamers, reflective silver globes, and strings of tiny lights help provide a party atmosphere. Your family will have more fun if everyone works together on party preparations. Why not have a work/fun party just for your family before the big event? Draw up a list of things that need to be done, and let each member choose tasks from the list. 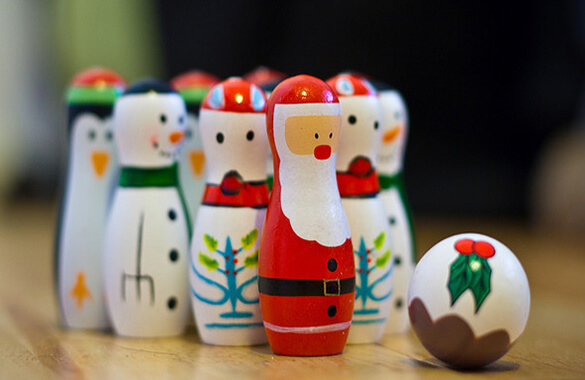 When the work is done, gather around the table to make or choose decorations. Children love to help decorate, whether they glue paper circles to make garlands or pick out decorations to hang from the ceiling. Once the party area is cleaned and decorated, listen to music or sing songs and enjoy refreshments together – a plate of cookies and cups of hot chocolate, perhaps. The kids will remember this “party” as a very special time. Potluck dinners let everyone who attends feel that they had a part in the success of the party. Such meals are ideal for basement entertaining because dishes brought by guests can be taken directly to the serving area that has been set up in the basement. If your home’s main food preparation area is not in the basement itself, hosting potluck will lessen your work. It also allows guests and family members to visit and not be underfoot while the host is making final preparations. Set aside a corner of your basement for small children to play or rest. Provide toys, coloring books and crayons, or large sheets of blank paper for them to draw on. Put a few cushions or pillows on the floor so that they can sit comfortably or rest. Arrange another area where older kids can gather to chat, play table games or work puzzles. When it is mealtime, have everyone join together to eat. Serve after-dinner refreshments, such as juice, soda, or punch for the kids and coffee, tea, or wine for the grownups. Keep in mind your basement window well when making these decisions. If you have a dishwasher, wash all empty serving dishes in the first load. When it comes time for the guests to depart, their empty serving dishes will go with them. They will be full and happy, and half of the cleanup will be done. With these easy tips, planning your next holiday party will be easy and enjoyable wherever you decide to host it.